Spring. It’s that time of the year when parents sign their children up for multiple team sports. Basketball, baseball, lacrosse and the soccer empire all vie for the attention of youth sports participants and their parents. This bounty of opportunity can cause several problems for the athlete and sports parent. As I described in an older post, one such problem occurs when a parent “over-books” his or her child’s activities. With too many scheduled activities, the child inevitably misses numerous practices and games. For coaches, it’s often a frustrating time. Many of us who coach do so for the rewards that come from developing young players and a team throughout the course of a season. Developing a child’s understanding of team play, and how to integrate his or her individual abilities together into a larger team experience, is one of the satisfying challenges that draw us to coaching. But how can a coach develop a team when players regularly miss practice and games due to other commitments? The short answer is one cannot. If you’re lucky, you coach a team that sits atop others. Possibly you coach a “select” team, one in which parents have invested significant sums of money for their child to participate. You may coach a team that needs to cut players to reach a manageable sized squad. Or maybe your team is simply the only game in town. In other words, you are a coach who has explicit power. You are in the enviable position of dictating to your players that they attend practices—or else. But in the mainstream of youth sports, most coaches don’t enjoy this level of control. At the bottom of the food chain are the coaches in a community’s developmental sports programs. These coaches typically have only one or two practices per week to prepare for their weekly game. The leagues in which they coach emphasize fun, instruction and equal playing time. Establishing an attendance policy and enforcing it is atypical. A coach in these programs must instead resort to tactics of persuasion, possibly coupled with minor punitive measures such as not starting a player who misses practice or reducing a player’s minutes in a game. This coach must try to convince each child (or parent) that attending practice is important—both in developing the child’s ability to its fullest and to fulfill the inherent responsibility and obligation each player has to his or her team. Other approaches a coach may use to address attendance issues include talking with individual parents to determine if they can help. Possibly splitting attendance equally between two competing activities may be an acceptable solution. Also, in certain instances a coach may be able to better match practice times to his or her players’ availability. This is more likely at the beginning of a season before the practice schedules are set. Most importantly, practices must include a large dose of fun, provide players with instruction they find meaningful, and generate a high level of positive energy. Successful coaches in these programs often pull their players toward team goals through their own personal style of leadership. Ideally, players want to come to practice! Sometimes the dice simply land wrong for a volunteer youth coach. Scheduling conflicts exist and key players on your team regularly miss practice and games. I would suggest that you reset your team expectations and focus more on teaching the individuals who do attend practices. Concentrate on improving each child’s individual skills, providing more instruction and practice repetitions. This is also an opportunity for you to dedicate more time to your beginning players. Since there is less likelihood that these children are involved in competing athletic activities, they will more consistently attend practices. Parents of these children may also realize and appreciate that their child is receiving semi-private training at little or no cost. From a competitive perspective, your beginners are usually your team’s weak link. But these young players may dramatically improve with added instruction and opportunity, leading to more team success as the season progresses. And should your better players begin to show up toward the end of the season (possibly for a season-ending tournament), your team will be stronger for your efforts teaching the younger beginners. As I’ve written elsewhere, one of the greatest rewards for a youth coach is to witness the development of a young player’s ability and self-esteem under your tutelage. If you walk away from a season knowing you’ve helped even one child on your team, you have succeeded. This is such a difficult topic! I wrote about how i thought it negatively affects the parents and teammates when a player is over committed, but Stats Dad also had some really interesting points when talking about his own daughter's experiences. I'm sure it's even more frustrating from the coach's perspective! 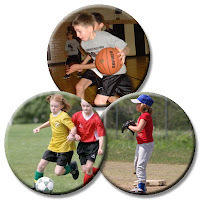 There’s little doubt that good young athletes benefit individually from playing multiple sports. Avoiding specialization at an early age is important. And even without attending many practices, a good athlete can contribute to his or her team’s success. Nevertheless, I believe that organized youth sports programs are not just about becoming better athletes and winning games, but also about instilling an understanding of teamwork, community, commitment, and responsibility. Practices are an important part of achieving this goal. Those who view this issue only from the athletic side are possibly missing this larger point. As usual, part of the problem is that this issue is viewed through the unfortunate perspective of “youth sports ARE organized sports.” If a more vibrant pickup game culture existed in Stats Dad’s community, his daughter could easily find good competition and an ongoing opportunity to develop her basketball skills. I would even argue that she would get better from playing small-sided games in the “off-season” rather than playing in yet another organized league. With a more balanced approach to youth sports, one that included a greater percentage of self-directed play, there would be far less scheduling and commitment conflicts at the organized level. I've been coaching rec baseball and basketball for 15 seasons, and there are a few methods I developed to deal with this. First, we set expectations with the parents PRIOR to them joining the team, emphasizing that we are a team looking for players whose top extracurricular activity (outside of religious obligations) will be this team. In the North Texas / Dallas - Fort Worth area, it's pretty common for coaches to build out their own teams each season instead of drafting teams--not for the purpose of building an all star team to win a rec championship, but rather to find like-minded PARENTS. Then we articulate our team goals, coaching philosophies, and consequences of missing practices or games. Most of the time it's the parents who need this reinforcement that paying a fee for participation in a team sport does not entitle them to show up whenever they feel and get the same treatment as those who place more value on teamwork, responsibility, and accountability. The last tactic we use, with as young as 9 years olds, is to ask them to name their teammates who aren't at practice that day. Then we ask kids to consider how that makes them feel... that while they are working hard to make themselves and the team better, their teammate isn't willing to do the same for them. Planting that notion in the minds of the attendees seems to make them less likely to miss a future practice themselves...for fear of letting the team down.